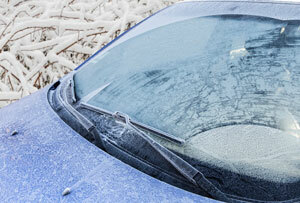 McKee’s 37 Anti-Frost Windshield Washer Fluid is your best defense against inclement winter weather! McKee’s 37 Anti-Frost Windshield Washer Fluid is arguably the best investment you can make in winter car care. Simply add a quart of this concentrated cleaner to your existing windshield washer fluid and you’ll be ready for a longer winter ahead. When your windshield becomes caked with salt, dirt, and road grime, a flick of the wrist will activate your windshield washer fluid and the aforementioned contaminants will be washed away. What’s more, McKee’s 37 Anti-Frost Windshield Washer Fluid is formulated not to streak or smear. Your windshield has never been so clear! I was looking for something like this for a while, and I'm glad I found it. Surprisingly, it works exactly as described. Two thumbs up!